New & Used Professional Portable Carpet Cleaning Machines, Floor Cleaning Machines, Carpet Cleaning Chemicals & Detergents, Spot Removal Products, Parts and Repair Services. The Ninja hot water carpet extractor is rated #1 with models ranging from 150 to 500 psi with or without 250°F internal heater. A Rotowash floor cleaning machine cleans both carpets and floors and also saves on detergent costs. Benefect Disinfectant spray is less toxic than vinegar. No rinse or wipe required and it’s environmentally friendly. Is your business ready to offer a smoke odour removal service? This is a great time to get up to speed with the smoke odour removal process so your business can start making money utilizing this type of service. Salt removal on floors and carpets doesn’t have to be difficult. Works effectively by demineralizing salt deposits. Ozone & Hydroxyl Air Cleaners and Air Purifiers effectively turn offensive odors into a clean fresh breeze. Carpet & Floor Cleaning Equipment & Supplies. There’s always something new at Kleen Kuip. Used Carpet Cleaning Machines, Walk-behinds, Dehumidifiers, Floor Machines, Flood Restoration Equipment for sale. The E600 is a professional strength hot water carpet extractor features high performance components in a compact, durable two tone polyethylene housing. Designed for ease of transportation and storage, the E600 has a fold down handle making it fit easily into almost any kind of vehicle. 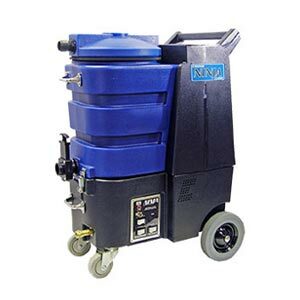 The NINJA is the #1 Rated Portable Carpet Cleaning Machine designed to save you time where it counts, on the job site. Everything about this unique machine is well thought out with your convenience in mind. A great automotive car detailing extraction machine when used with one of our many different upholstery hand tools. Clean carpets and ALL hard surface floors using the same machine! Rotowash floor washer machines are capable of producing a high quality of wash, scrub and clean on many types of hard floors and carpets, leaving the floors touch dry and ready to walk on within minutes. We stock a wide range of industrial, commercial & residential carpet cleaning box extractors to suit your particular cleaning requirements. The Rotowash floor cleaning machine effectively cleans carpets, tiles & grout, hard surface floors, concrete floors, vinyl floors, wood floors and virtually every other kind of floor surface. 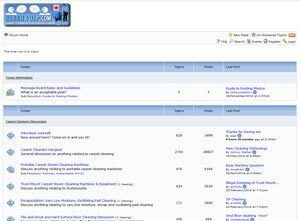 Carpet cleaning videos, floor cleaning videos, subscribe to receive the latest and greatest cleaning technology videos. Discuss carpet cleaning techniques and get professional advice how to clean and maintain carpets and hard floor surfaces. Kleen Kuip Supply Mart Inc. has been serving the Professional Carpet Cleaner Since 1973. We have a full service, parts and repair department. Visit or call us today!